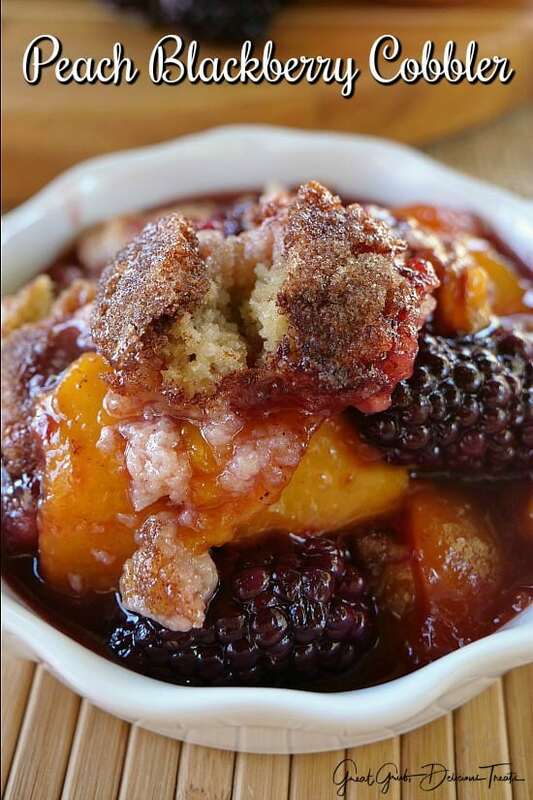 Peach blackberry cobbler is a perfect dessert any time of the year but especially in summer using fresh peaches and blackberries. 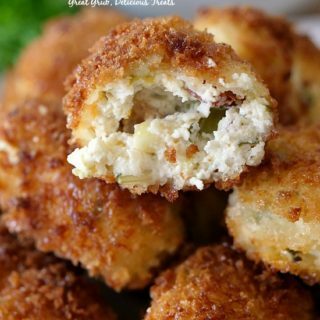 Sweet, juicy and delicious! 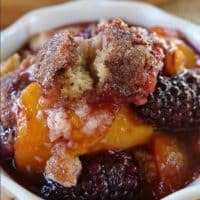 Both my fresh peach cobbler and my blackberry cobbler recipes tastes delicious and when you combine the two fruits together, you get a totally awesome dessert with two great tasting fruits in one. 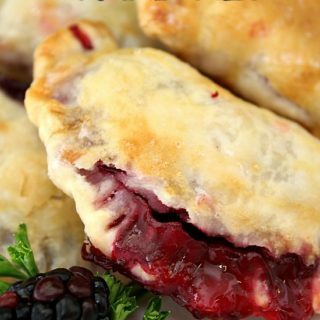 Juicy cobblers are the best and the juices from both fruits explode in this recipe. 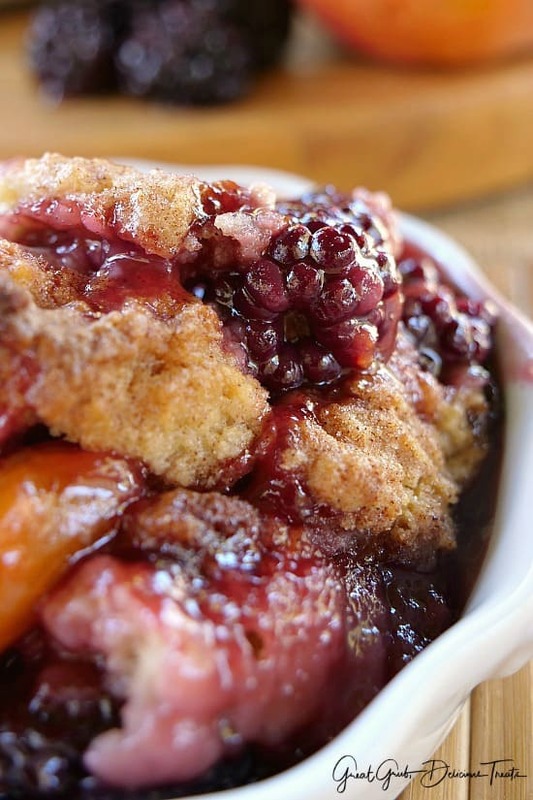 Fresh fruit is always best to use but if you are craving a cobbler when the fruit is not in season, you can use frozen fruit and still enjoy the comfort cobblers bring. And the best part is adding a scoop or two of vanilla ice cream on top. 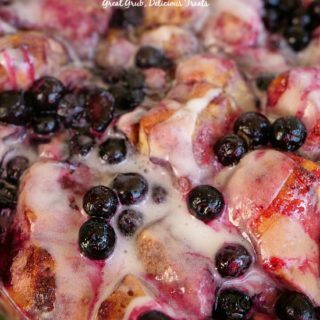 When the ice cream starts to melt, and mixes with the juices of the peaches and blackberries, it’s totally heaven in your mouth. 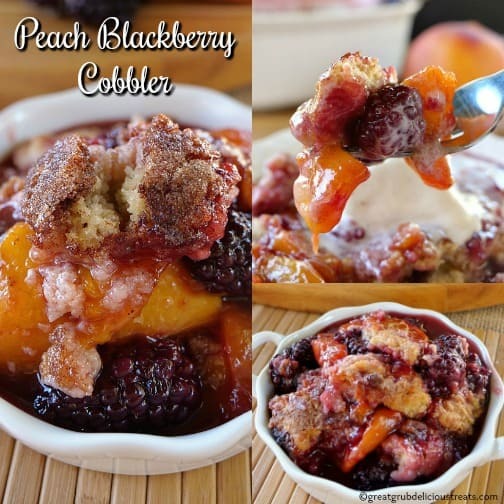 Here are some more delicious cobbler recipes you can find on the blog: Fresh Peach Cobbler, Blueberry Cobbler, Blackberry Cobbler, Caramel Apple Pecan Cobbler, and Pear Pecan Cobbler. Peel, remove pits and slice peaches, add to large mixing bowl. Rinse blackberries and place in bowl. Sprinkle sugar, brown sugar, lemon juice, corn starch and cinnamon over fruit and stir gently. Let sit for 5 minutes then stir again. 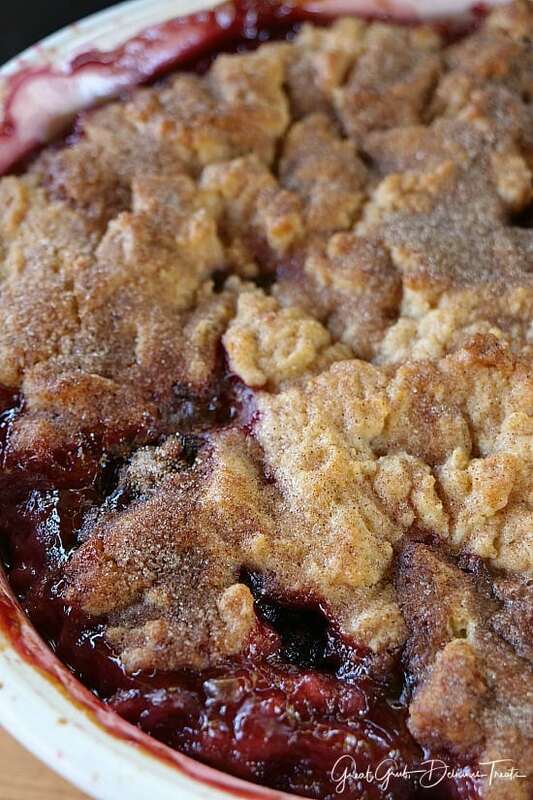 Pour fruit into an oval 2.5 - 3 quart baking dish. 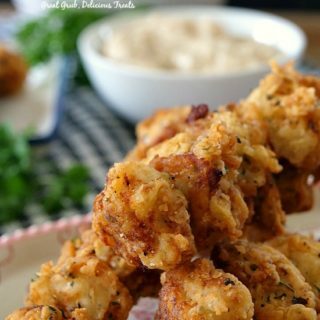 Using a pastry blender, mix butter into flour mixture until mixture becomes crumbly. Pour boiling water into flour mixture and stir until combined. 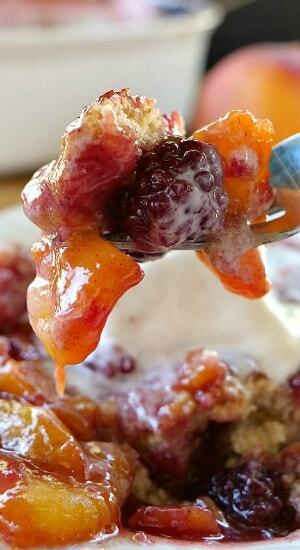 Spoon mixture over peaches and blackberries, spread gently making sure to cover the fruit completely. 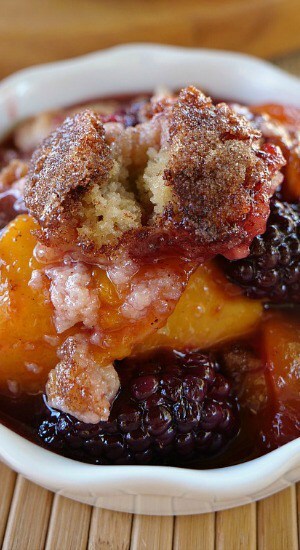 In a small bowl, mix cinnamon and sugar together and sprinkle on top of the cobbler. 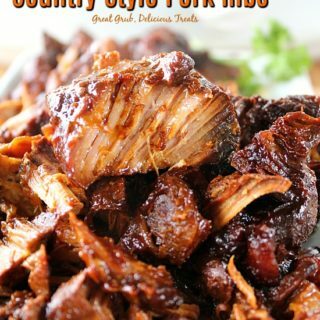 Bake uncovered for 45-55 minutes or until topping is cooked thoroughly and has started to brown. 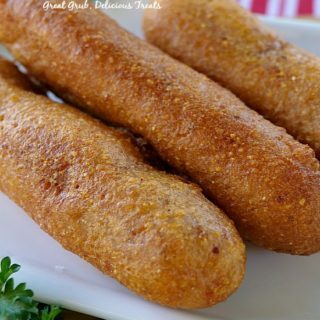 Remove from oven and let sit for about 10 minutes.